What Happens to the Tenant's Personal Property After the Sheriff Lockout in California? This article discusses what happens to the tenant’s personal property after the sheriff has completed the lockout and the landlord has regained possession of the property in California through an unlawful detainer (eviction). First, some background. By the time the sheriff completes the lockout and removes the tenant from the rental property, the landlord has already progressed through the unlawful detainer action and received a judgment for possession of the property. The landlord has already applied for and received a Writ of Possession from the court and has submitted the Writ and sheriff instructions to the sheriff office. The sheriff has scheduled the lockout and evicted the tenant from the property. The landlord now has possession of the property. Sometimes, unfortunately, tenants will leave personal property behind after the lockout. So, how does a landlord handle personal property left behind by the vacating tenant? The landlord must hold on to the items for 15 days after the sheriff lockout takes place and give the tenant an opportunity to reclaim the items at a mutually convenient time. The landlord can move the items and clean the property, but the landlord must maintain the safekeeping of the items during this 15 day holding period. The landlord should not allow the tenant unsupervised access to the property, nor should the landlord give a key to the tenant. The landlord should treat the ex-tenant as an unwelcome guest in the owner’s property and make an appointment with the tenant to reclaim his or her items at a mutually convenient time, while the owner or his/her agent waits at the property. The landlord should lock the door as soon as the tenant has completed removing their personal property. Legally, the landlord can charge the tenant a reasonable storage fee, but in our experience, that’s more trouble than its worth. It’s in the landlord’s interest for the ex tenant to remove the property as quickly as possible so the landlord doesn’t have to deal with it anymore. But what happens if the 15 days comes and goes and the ex tenant hasn’t reclaimed the personal property? The landlord needs to make a reasonable determination of the total value of all items left behind by the vacating tenant. $700 is the dollar amount to keep in mind. Once the 15 days have expired, if the landlord reasonably believes the total value of the items left behind is less than $700, then the landlord can dispose of the items. But if the landlord reasonably believes the total value is $700 or more, the landlord must auction off the items in accordance with California law. Before disposing of items or having the items auctioned, it is a best practice for the landlord to take pictures and/or an inventory of the items. We represent landlords with eviction cases in California. Do you need help evicting a tenant? 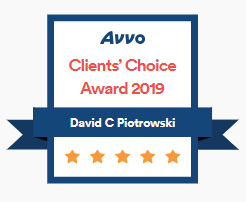 Contact the Law Office of David Piotrowski. This entry was posted in Evictions and tagged cc 1965, cc1965, ccp 1174, ccp 1174(f), civil code 1965, code of civil procedure 1174(f). Bookmark the permalink.